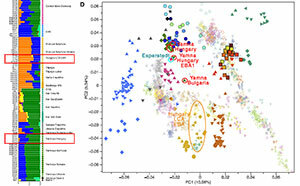 Open access Close inbreeding and low genetic diversity in Inner Asian human populations despite geographical exogamy, by Marchi et al. Scientific Reports (2018) 8:9397. When closely related individuals mate, they produce inbred offspring, which often have lower fitness than outbred ones. 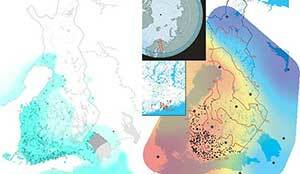 Geographical exogamy, by favouring matings between distant individuals, is thought to be an inbreeding avoidance mechanism; however, no data has clearly tested this prediction. 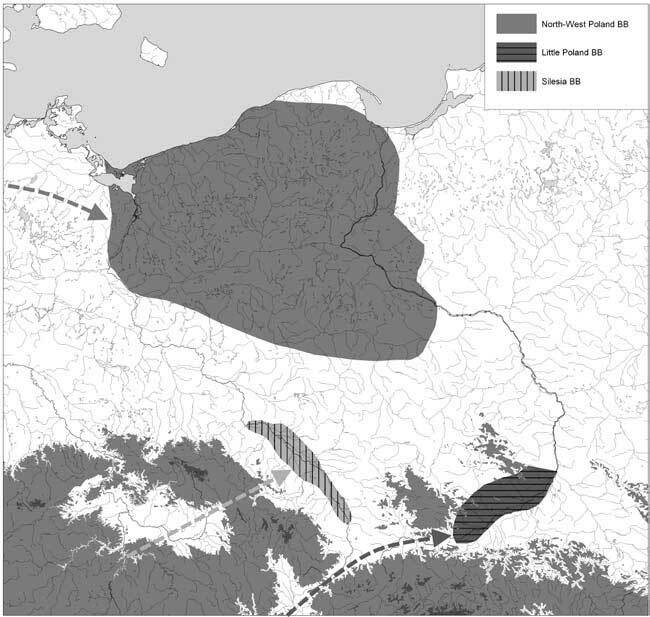 Here, we took advantage of the diversity of matrimonial systems in humans to explore the impact of geographical exogamy on genetic diversity and inbreeding. 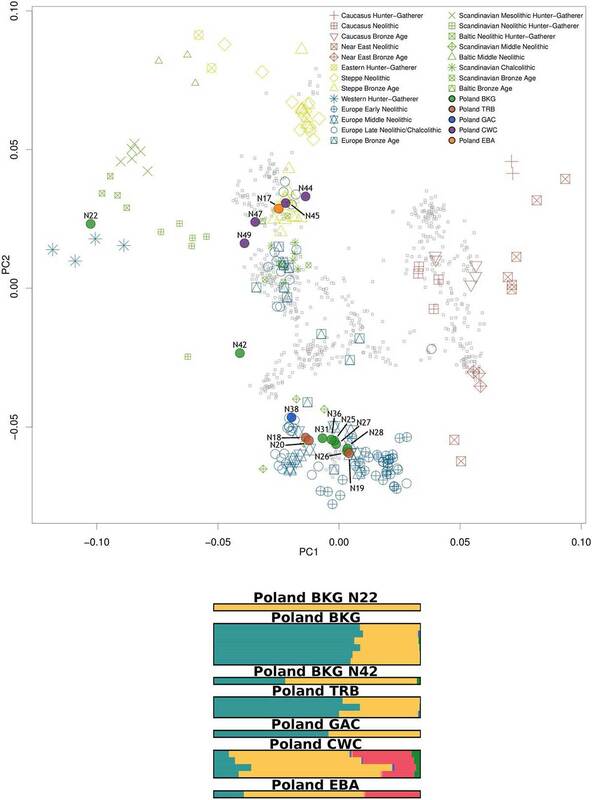 We collected ethno-demographic data for 1,344 individuals in 16 populations from two Inner Asian cultural groups with contrasting dispersal behaviours (Turko-Mongols and Indo-Iranians) and genotyped genome-wide single nucleotide polymorphisms in 503 individuals. 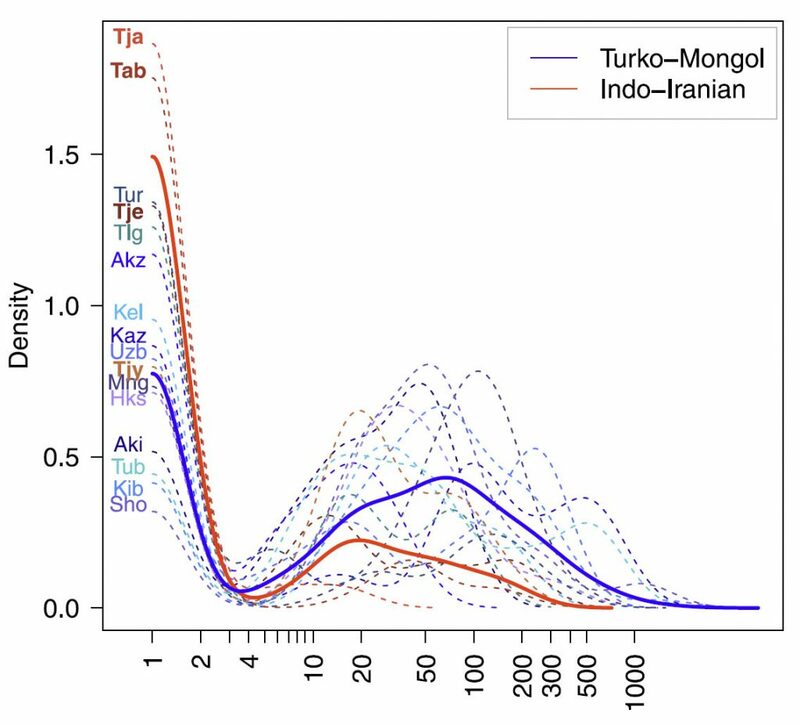 We estimated the population exogamy rate and confirmed the expected dispersal differences: Turko-Mongols are geographically more exogamous than Indo-Iranians. Unexpectedly, across populations, exogamy patterns correlated neither with the proportion of inbred individuals nor with their genetic diversity. 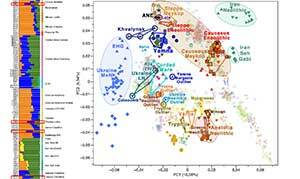 Even more surprisingly, among Turko-Mongols, descendants from exogamous couples were significantly more inbred than descendants from endogamous couples, except for large distances (>40 km). 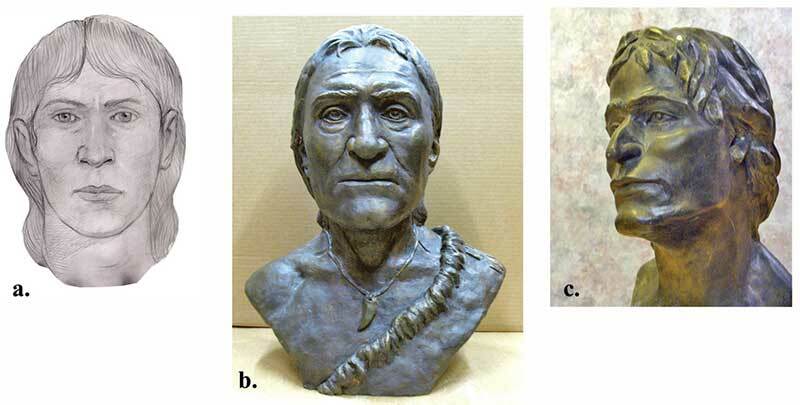 Overall, 37% of the descendants from exogamous couples were closely inbred. 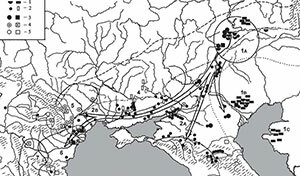 This suggests that in Inner Asia, geographical exogamy is neither efficient in increasing genetic diversity nor in avoiding inbreeding, which might be due to kinship endogamy despite the occurrence of dispersal. 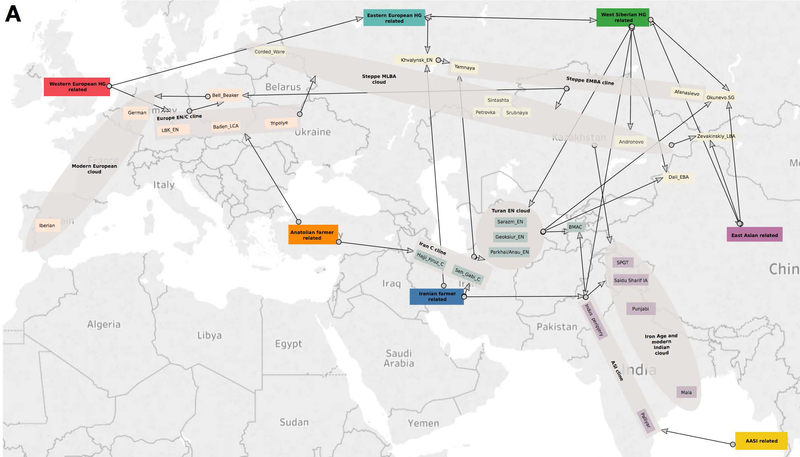 Two cultural groups, which matrimonial systems are reported to differ, coexist in Inner Asia: Turko-Mongols are described as mainly exogamous while Indo-Iranians are thought to be mainly endogamous45. 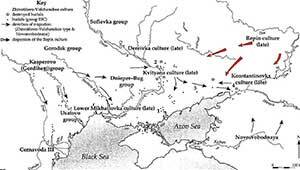 However, it is not always clear if exogamy refers to clan (ethnic) or village (geographical) exogamy. 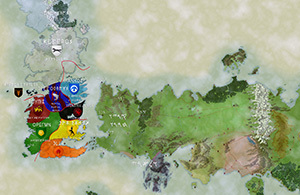 Here, we used a dataset of 16 populations representing 11 different ethnic groups from both cultural groups and we quantified geographical exogamy rates and distances in each population. 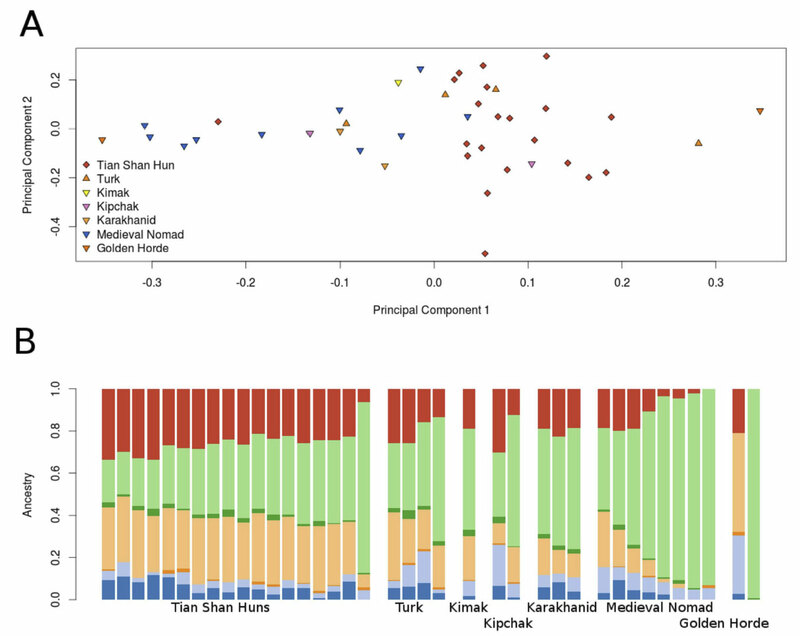 Using an empirical threshold of 4 km, we confirmed that matrimonial behaviours differ as described in the literature, even though we found some exceptions: three Turko-Mongol populations (out of 14) have less than 50% exogamy, whereas one Indo-Iranian population (out of four) has more than 50% exogamy.(…). Geographical distances between the birth places of couples in Turko-Mongols and Indo-Iranians. 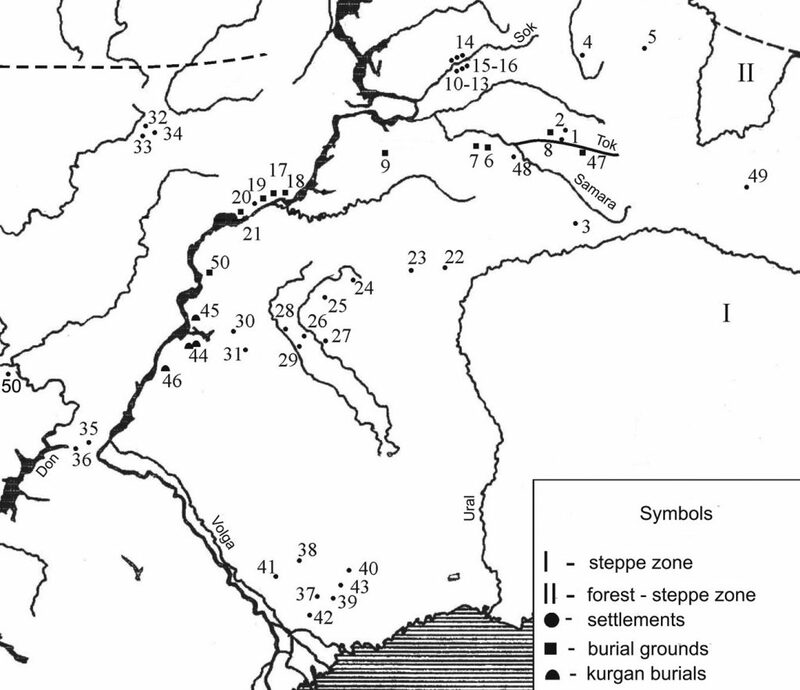 The geographical distances are plotted in log scale (km). 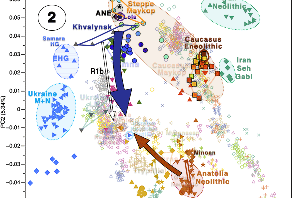 Their densities are represented by population (dashed lines) or for the Indo-Iranian and Turko-Mongol groups (solid lines). We represented the average distances within couples per population using a Kernel’s density estimate implemented in R with a smoothing bandwidth of 0.2. See Supplementary Table 1B for population codes. 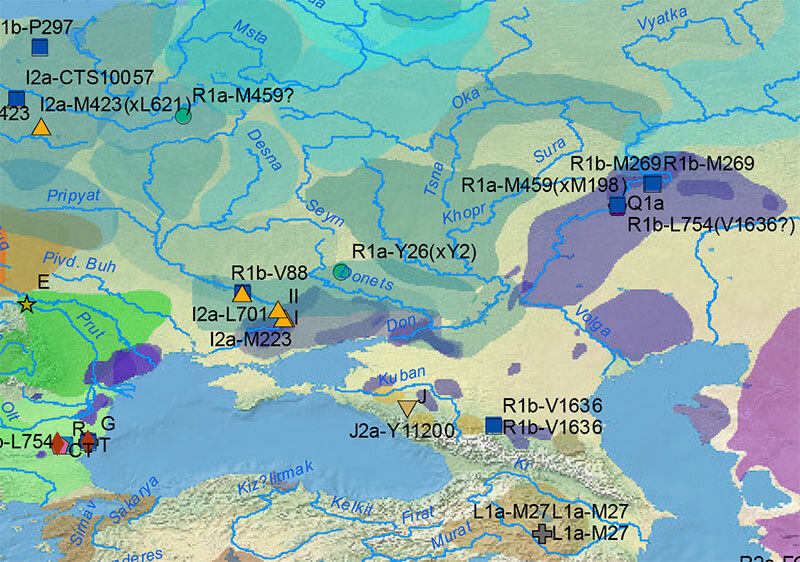 An additional important result of our study is that geographical distances are not negatively correlated with inbreeding, as could have been expected under an isolation-by-distance model65. Interestingly, a recent study based on a large genealogical dataset, collected across Western Europe and North America, and including birth places information, similarly found an absence of correlation between relatedness and the distance between couples, for the cohorts born before 185066. 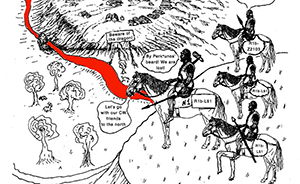 Our analyses within present-day Turko-Mongols reveal more specifically that the structure of the relationship between geographical distance and mating choice inbreeding is not linear, but rather tends to be bell-shaped, and thus cannot be correctly assessed with a single correlation test. 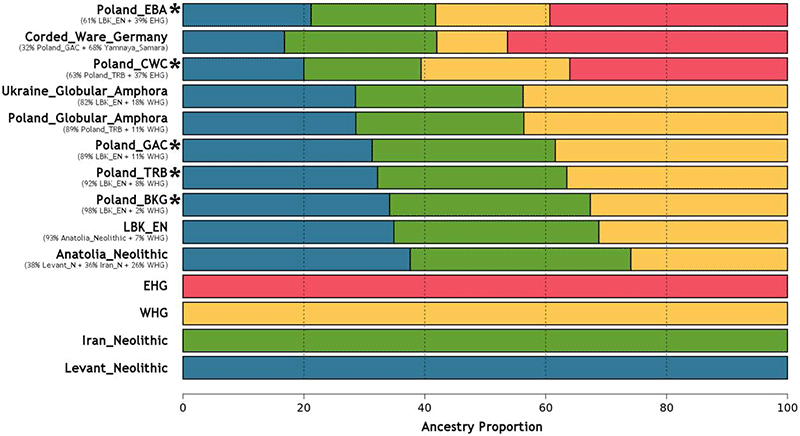 Indeed, descendants from parents born 4 to 40 km apart are more inbred than descendants from endogamous couples (≤4 km) or from long-range exogamous ones (>40 km). As a consequence, close inbreeding exists despite geographical exogamy, and about a third of descendants from exogamous couples are inbred. These results, in addition to those obtained by [Kaplanis et al. 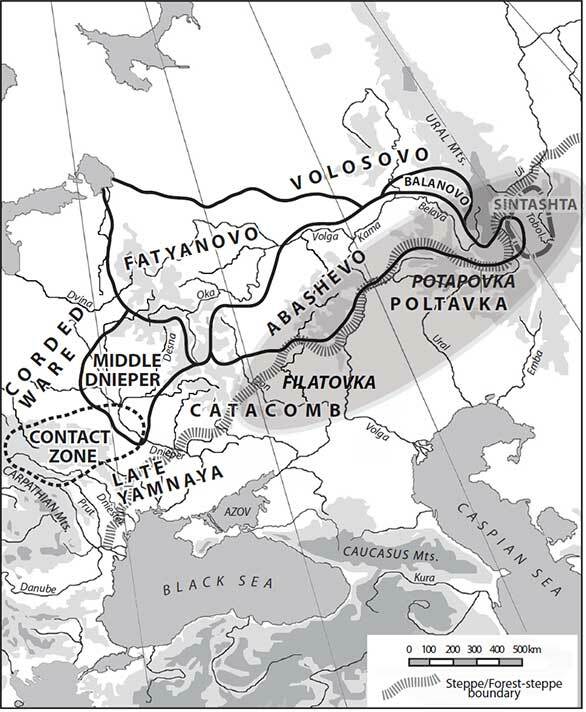 2018]66, highlight the importance of using geographic distances rather than exogamy rates to characterize the impact of exogamy on inbreeding, as already described when studying patrilocality67. 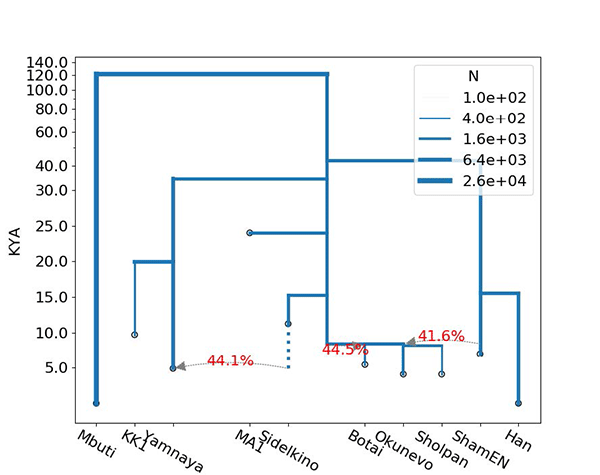 Indeed, when we compare mating choice inbreeding patterns for descendants from exogamous and endogamous couples defined for thresholds of 4, 10, 20 and 30 km, we find no significant differences (for number and total length of class C-ROHs and F-Median coefficient: MWU test p-values > 0.1). We only detect significantly lower values in descendants from exogamous couples for larger distances above 40 and 50 km (p-values < 0.03). 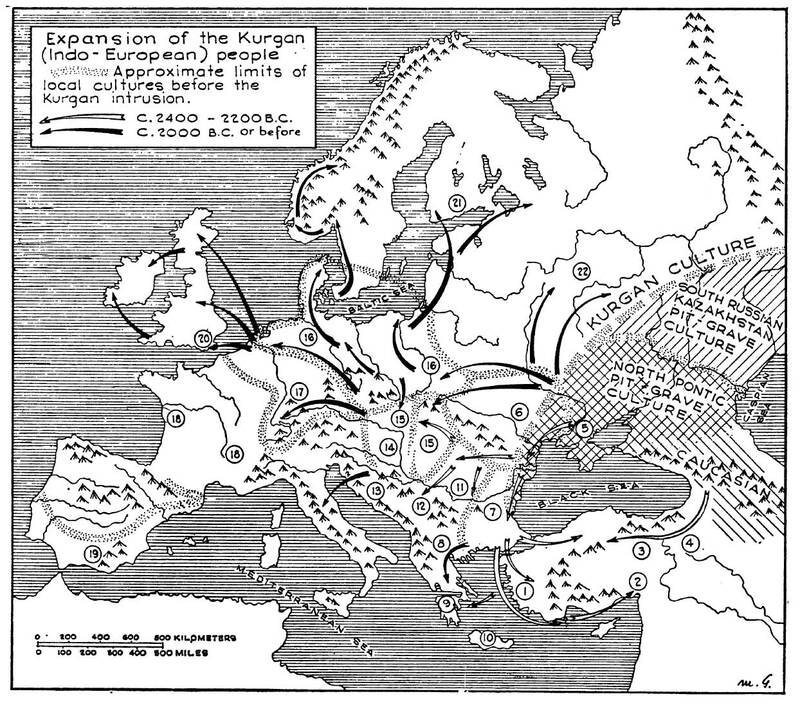 Genetic diversity (A) and inbreeding patterns (B,C) within populations. 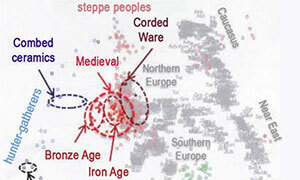 Grey lines in (B) represent inbreeding values corresponding to second-cousins and first-cousins. 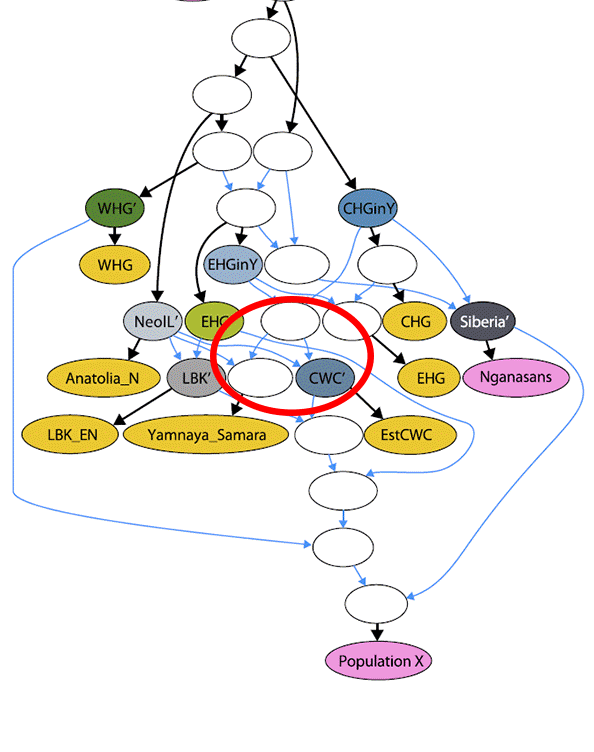 The grey line in (C) represents the homozygosity population baseline expected under panmixia. The number of samples per population is indicated between parentheses. See Supplementary Table 1B for population codes. 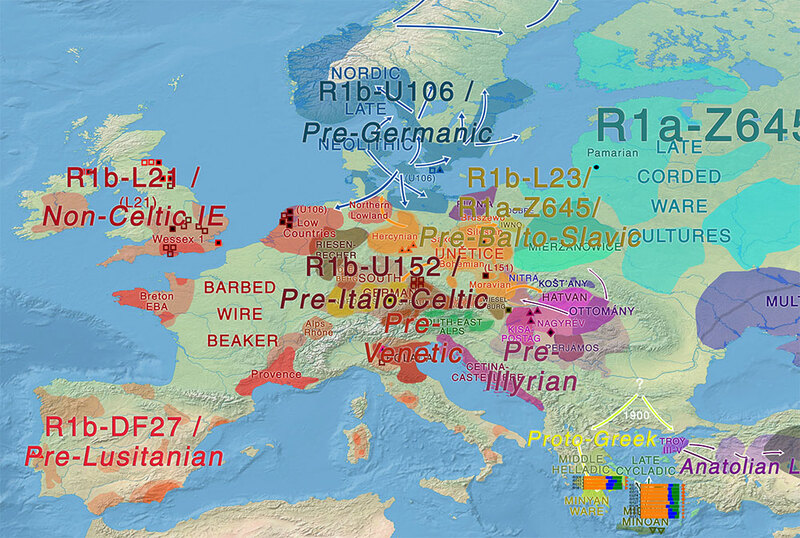 Open access 4000 years of human dietary evolution in central Germany, from the first farmers to the first elites, by Münster et al. PLOS One (2018). 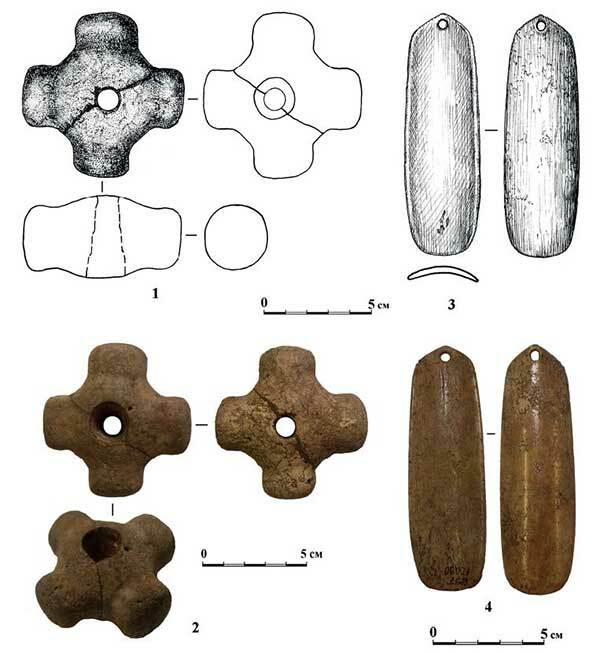 This study of human diet between the early stages of the farming lifestyle and the Early Bronze Age in the MES, based on carbon and nitrogen isotope analyses, is amongst the most comprehensive of its kind. Or results show that human dietary behaviour has changed significantly throughout the study period. A distinct increase in the proportion of animal protein in the human diet can be identified over time, a trend which only the people from the BBC did not follow. The results of the stable isotope analyses are consistent with epidemiological data on caries frequency, which indicate the highest proportions of carbohydrates in the human diet in the EN and the lowest in the EBA . 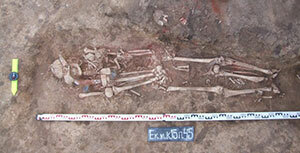 These findings may have been due to an increased consumption of either meat or dairy products. Although meat and dairy consumption cannot be distinguished by means of stable isotope data or caries frequency, molecular-genetic analyses of lactase persistence argue against an increased consumption of fresh milk . However, although approximately 70% of the world population has a lactose intolerance, most of them can tolerate dairy foods or lactose-containing foods without developing symptoms . It therefore comes as no surprise that the use of processed milk, i.e. 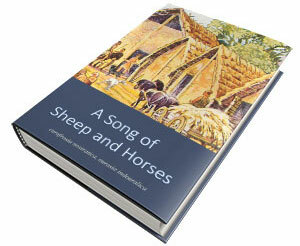 dairy products, appears to have set in early on in the Neolithic period . 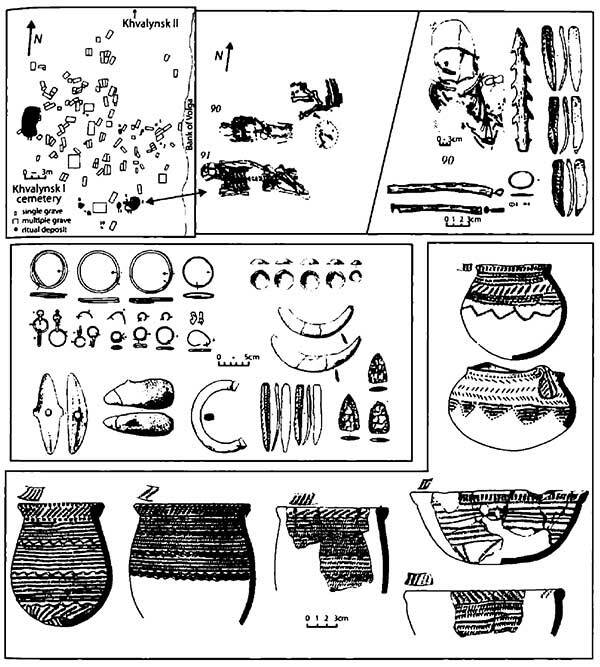 Unarguably, there was an increasing stabilisation of the supply of meat and secondary animal products throughout the Neolithic. The data dynamics overall argue against an equal availability of animal-derived protein to all sections of the various populations, which attests to early processes of specialisation, individualisation and hierarchisation. Moreover, population-genetic processes are also reflected in the development of human dietary habits. 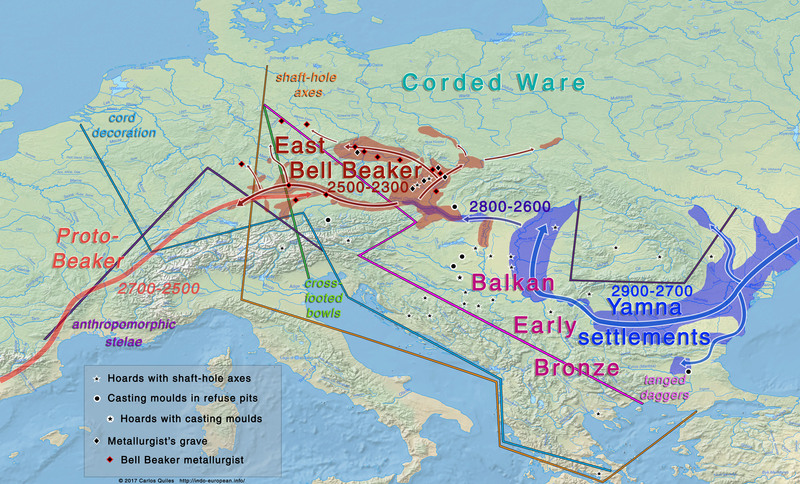 From the 4th millennium BC onwards, groups moved into the MES from the north, sometimes accompanied by violence [6,29], and fundamental demographic changes took place in the FN with the arrival of CWC groups from the north-eastern steppes and the BBC from south-western Europe [6,7]. 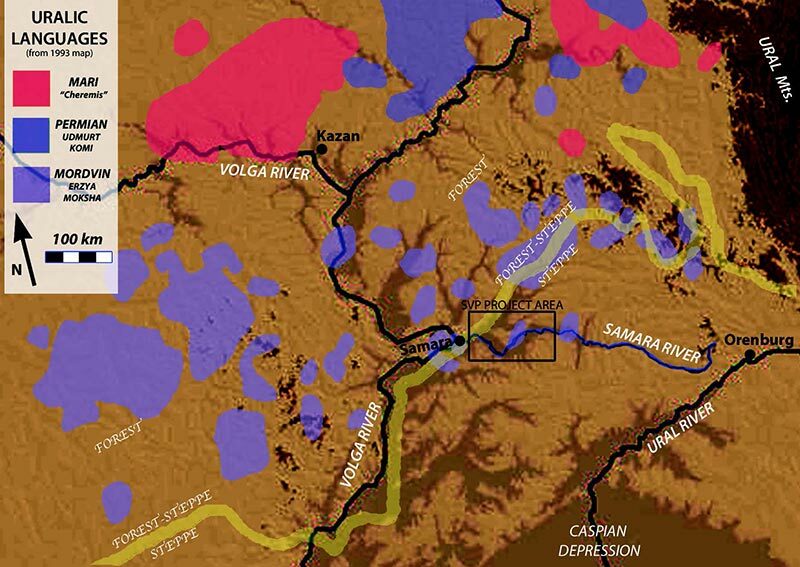 This former pastoral steppe component, in particular, may have been responsible for the fact that animal-based foodstuffs reached their highest importance in the FN and EBA. 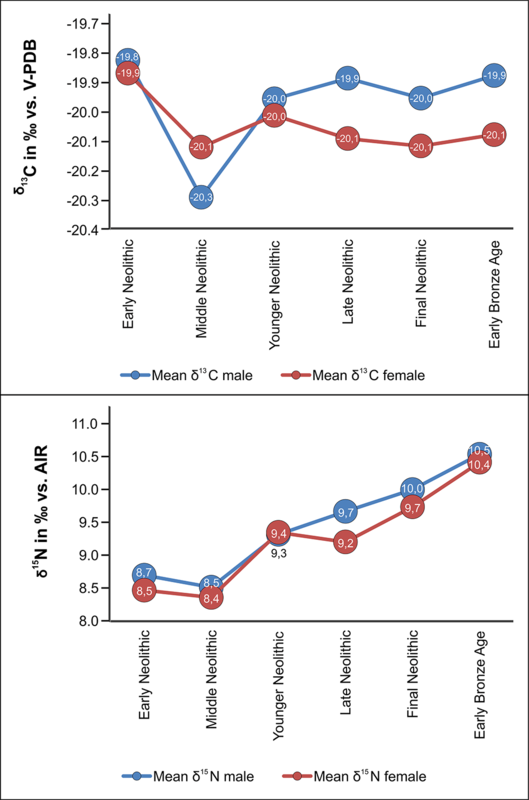 Differences in the consumption of animal-derived products between the sexes resulted in significantly lower δ15N values and less access to animal protein in females. Besides behavioural choices as to what food to consume, numerous other nutritional and gender-specific factors must certainly be taken into account when assessing the subsistence and nutritional balance of individuals. In the future, analysis of single amino acids of nitrogen and the compound-specific carbon isotope analysis of lipids and bone mineral may help providing more detailed and nuanced insight on aspects of human diet, such as protein sources in complex foodwebs, nutritional stress and disease [129–131]. They should become a standard in isotope studies and applied more often and routinely. Based on isotope data from collagen , a diet with a high protein content from meat or dairy products has been postulated for CWC groups from south-western Germany, though researchers there were also unable to distinguish between the two sources of protein. The consumption of fresh milk and the consumption of dairy products such as cheese, yoghurt and kefir may also be erroneously dated to the same period and associated with lactase persistence. 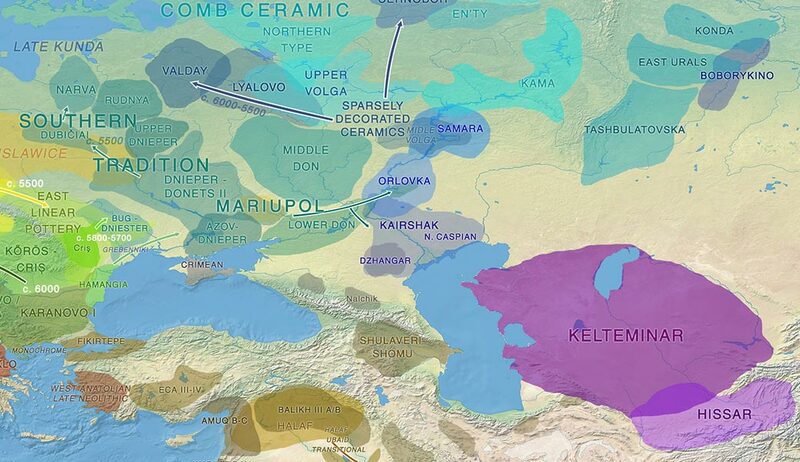 A newly reported genome-wide SNP dataset from 230 West Eurasians dating from between 6,500 and 300 cal. BC  has shown, like earlier studies , that no notable increase in lactase persistence in Europe appears to have occurred prior to 2,000 BC. It was and is a fact that milk is not a natural foodstuff for adult consumption, unless one is prepared to negate the numerous symptoms of lactose intolerance, including abdominal pain, bloating, flatulence, diarrhoea, asthma and others. 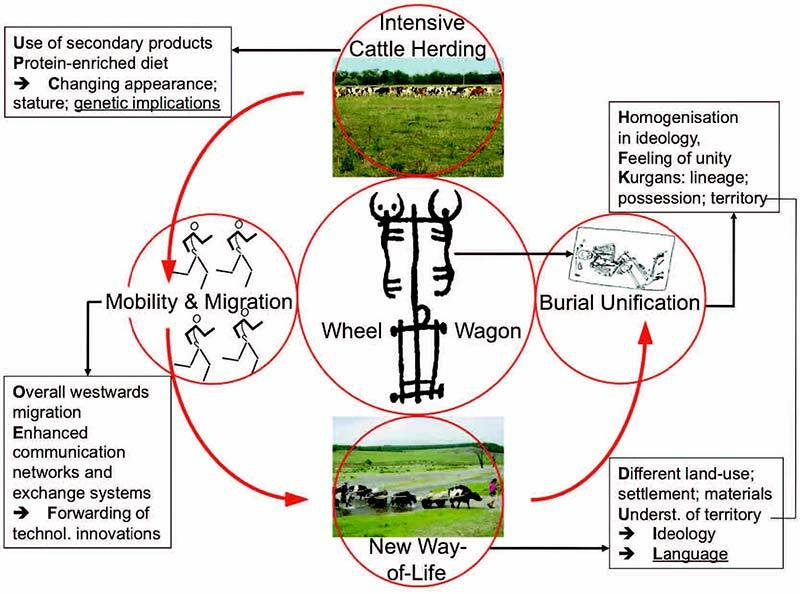 Cultural evolution in conjunction with natural selection has made it possible for us to use milk and its secondary products as a source of protein and energy. 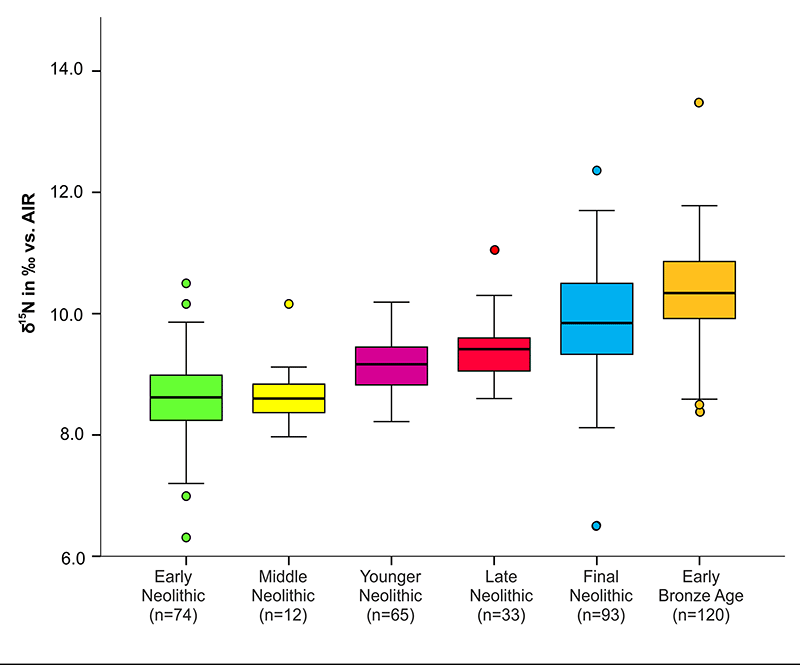 Whilst the continuous increase in animal protein in the diet of the Neolithic populations of the MES from the LBK to the Early Bronze Age can undoubtedly partly be traced back to an intensified use of secondary animal products over the course of the Neolithic, it is difficult to estimate how great a contribution this made to the increase in δ15N values. 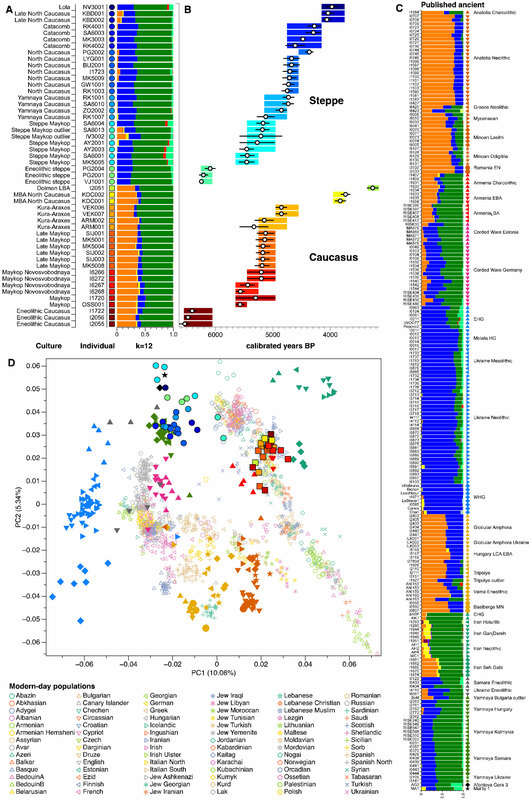 Judging from molecular-genetic data on lactase persistence, however, the consumption of fresh milk, at least, appears to have first begun to have an impact on the protein balance of individuals around 4,000 years ago . NOTE. 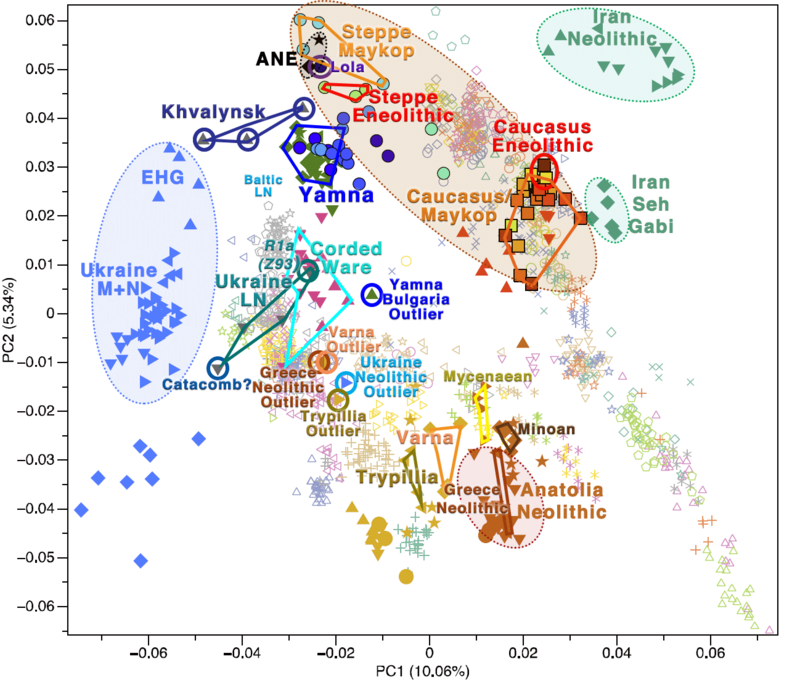 Regarding lactase persistence, we now know that Ukraine_Eneolithic sample I6561, of haplogroup R1a-Z93 (hence probably related to the later expansion of the Corded Ware culture) is the nearest sample to the population that might have expanded the 13910*T lactase persistence allele in Northern Europe. [After the massive influx of the CWC into central Europe in the FN] The dietary profile once again exhibits an increase in the mean δ15N values, to 10.1 ± 1.0 ‰. 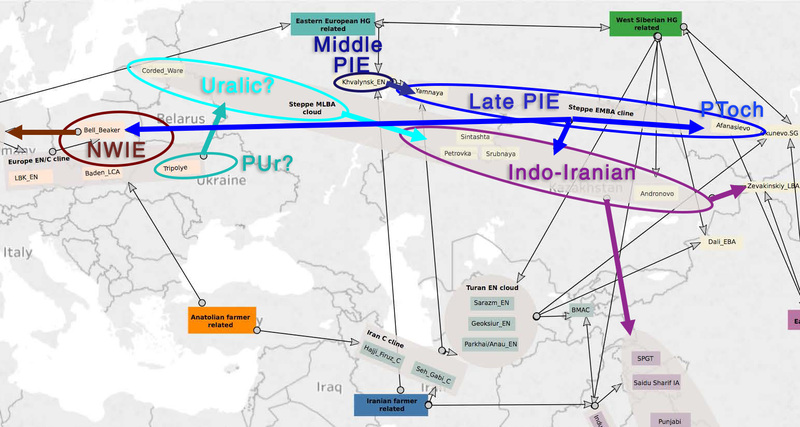 The BBC, which spread somewhat later throughout north and central Europe (with the arrival of the CWC jointly making up Event C) and whose origins are presumed to have been in south-western Europe, constitutes an exception, not just from the point of view of genetics. In contrast to the general diachronic trend consisting of raised δ15N values in the cultural groups examined, the BBC exhibited a nutritional decrease in mean δ15N values to 9.7 ± 0.7 ‰. The divergence between the CWC and the BBC to be seen in their funerary rites, despite their chronological and sometimes also territorial coexistence, is thus also visible in their dietary habits. 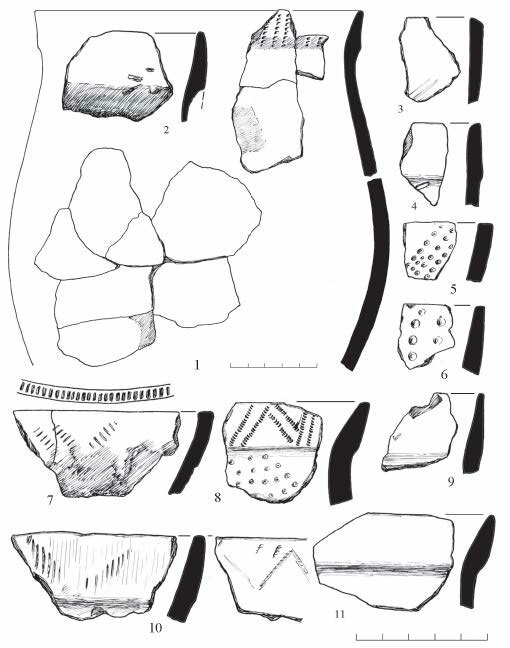 Comparative examinations of CWC sites in southern Germany have shown that their mean δ15N values were, in fact, comparable to those of the CWC in the MES (δ13C: -19.9 ± 0.6 ‰, δ15N: 10.8 ± 0.7 ‰, n = 32), despite exhibiting significant variation between and even within the sites, thus pointing to the diverging subsistence strategies of different communities . 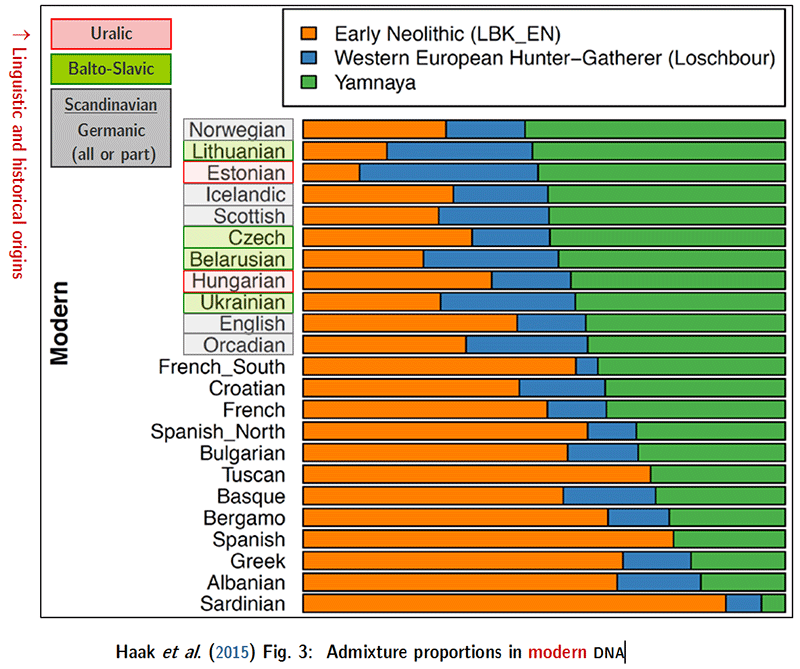 The UC, which followed the CWC in the MES, bore close affinities to its forerunner in terms of its population genetics, thus supporting the hypothesis that the BBC only had a minimal genetic impact on the UC [6,7]. The close genetic links between the UC and the CWC, however, are also seen in very similar mean nitrogen values which, at 10.4 ± 0.7 ‰, were the highest in the overall sample. Moreover, a striking aspect in the evaluation of the mean δ15N values over time is a clear tendency towards rising standard deviations (S4 Fig). 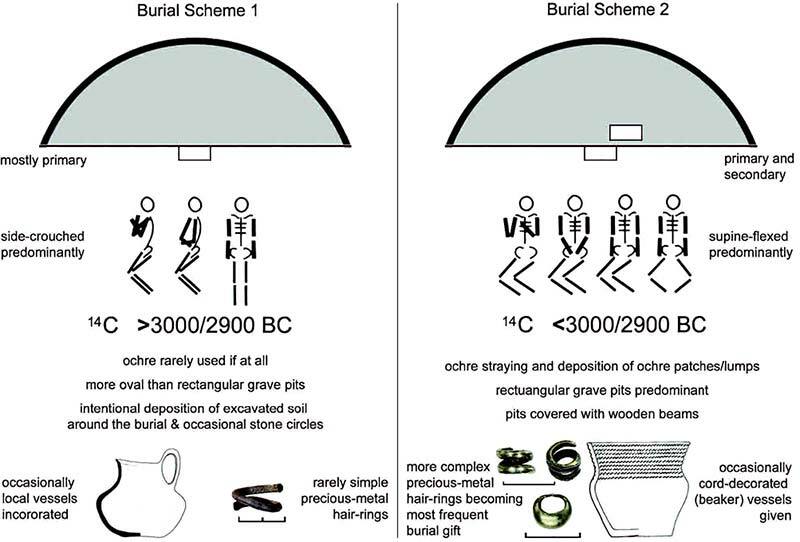 It is highly likely that this reflects increased social differentiation in society at the end of the Neolithic and in the Early Bronze Age. Socioeconomic advancement led to differences in status within communities and even to the formation of an elite, the differences applying to numerous facets of life, including dietary habits .